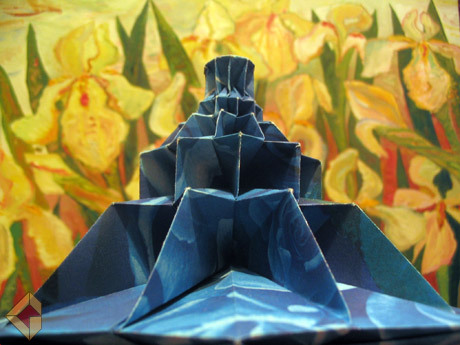 During an origami meeting I had the opportunity to fold Chris Palmer’s 3-storey Flower Tower. When I came back home I decided to add two storeys more. In order to do this I drew the crease pattern then precreased it and finally after whole day I managed to collapse it. 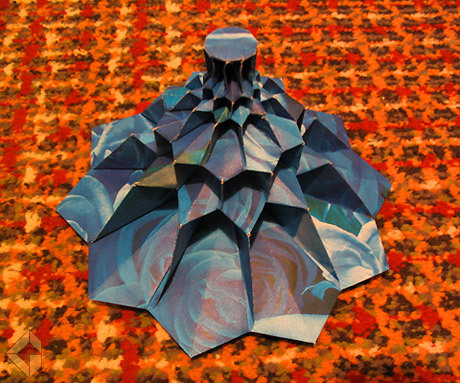 Model was made from a ten-sided regular polygon. The diameter of circle inscribed in it measures about 52 cm. Model is about 10 cm high.